The Gujarat Public Service Commission has released GPSC Various Recruitment 2015 Notification for Filling up Radiology tutor, Gujarat Education Service Class 1 and General Pathology tutor Posts. 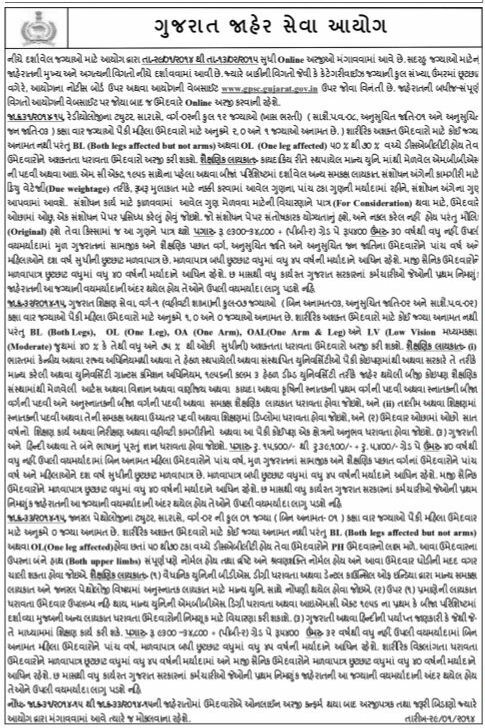 Eligible candidates may online apply form 29-01-2015 to 13-02-2015 through official website gpsc.gujarat.gov.in. More details like post name, qualification, age limit, how to apply are given below. Online Apply Start Date: 29-01-2015. Online Apply Last Date: 13-02-2015. Please mms sent me and call me.